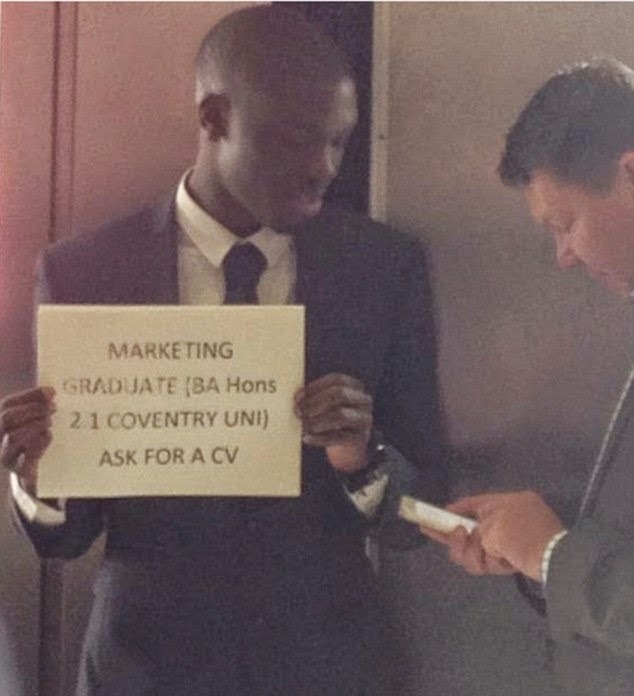 A graduate who stood in Waterloo Station and advertised his skills to commuters is now one step closer to landing his dream job. Alfred Ajani, 22, received widespread praise after ditching online application forms and handing out his CV to businessmen and women passing through the busy London terminal. His radical approach to job-hunting has now paid off and he told today how he could now be on his way to Barcelona. Alfred took to the station concourse early yesterday morning and, after some commuters looked at him in surprise, many stopped to speak about potential positions. 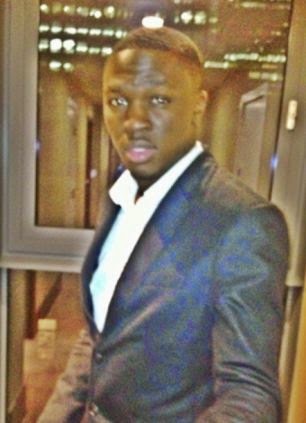 After being inundated with emails and calls, the marketing graduate from Coventry University has now had an interview with sports hospitality firm THG Sports. He said: 'The response has been incredible. I've even had to have my family and friends help me go through all the emails and phone messages I've received. 'I've spoken to THG about a sales position in Barcelona, which would be a brilliant as it is in the area I want to go into and studied. Since graduating in May, Alfred had applied for 300 positions in the crowded graduate jobs market without success and so decided to take a more direct approach to finding work. After his success yesterday, he said: 'My mum, Lola, is really proud of me. She gave me a big hug when she saw the response I had got. Alfred is still waiting to hear back from some of people who took his details yesterday, but is optimistic he will find a job and is encouraging others to follow his lead. 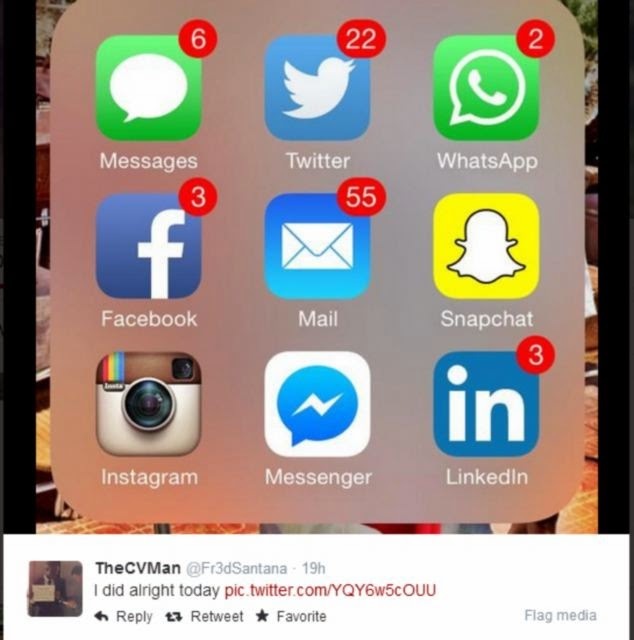 After posting a picture of all the messages he had on his phone, he tweeted: 'Battery is on 17%. Few opportunities look to be coming my way. Would advise recent graduates to do what I did' Statistics show that almost half of recent graduates are now in so-called 'non-graduate' or 'stepping stone' roles, such as bar-tending, and are struggling to get the positions they had hoped for. However, a recent poll of companies suggests the situation is now improving, with a 17 per cent increase in graduate roles expected this year.